The Best Graduation Gift For Your Kids | Attend our Immigrant Visa Party and Seminar - Gateway to Canada | Canada Immigration Consultancy! 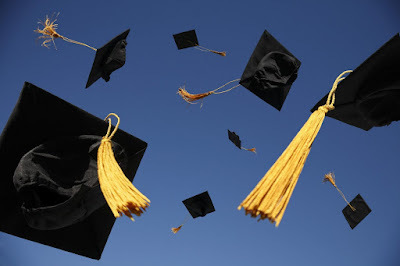 The month of March is usually associated with school graduation ceremomies. I guess congrtulations to graduating students and their parents is in order. Now, are you thinking of the best graduation gift for your children? How about an opportunity for them to live and work in Canada and enjoy the benefits of having a permanent residence in Canada? Find out how! Attend our Immigrant Visa Party and Seminar! If you are from Angeles City, Pampanga, you don't need to travel to Manila. There's a schedule a seminar schedule there this coming Saturday. Attending this visa party and seminar will give you an idea about the process and learn which program may be applicable for you. It will also aid you in choosing an immigration consultant to help you with your application, to help you realize your dream of living and working in Canada. Last year, I have a client who used to work as a Bank Examiner at Bangko Sentral ng Pilipinas, who was granted with visa together with his family. When he attended the visa party for pre-departure orientation, it was incidentally also his daughter's college graduation day. Some five months after landing in Canada, the said client sent me an email to update me about their situation. Here's a portion of the letter where he talked about his daughter. His daughter is a nursing graduate. There is quite a number of registered nurses here in the Philippines who don't have a job. Some are even paying a training fee just to get training and or work as volunteer nurse - WITHOUT SALARY. Then some will end up working out of line, mostly working in a call center. There's another batch who will be graduating this month. And the cycle will just go on and on. Now, the question is this: Do you want your kids to be subjected to this cycle? It always boils down to a choice. Your choice, your decision. You want the best graudation gift for your kids? Find out how. Attend our Immigrant Visa Party and Seminar!